97.3% Customer Satisfaction. We Must be Doing Something Right. We Love our Customers, and they love us Right Back. Our Award Winning Customer Service Team provides a pressure-free and hassle free experience for every customer interaction. An independent survey conducted with our customers has taught us a few things: first, we love our customers, and they love us right back! Our overall satisfaction index stands at 97.3% satisfaction in the 12-month running period ended in February 2018. Second, the investment in training our staff is paying off: literally 99.0% of our customers found our team to helpful and courteous. 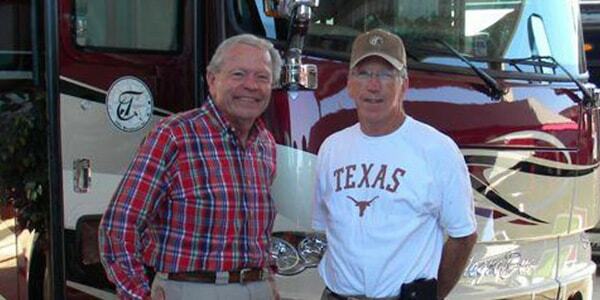 Lastly, 98.6% of our customers would recommend Vogt RV to a friend of family member. This validates our A+ rating with the Better Business Bureau (BBB). Clearly, having Factory-trained experts on all brands we carry, and Factory-Certified Service Technicians translates into satisfied customers. But so does creating an environment of friendly, customer-focused, no-pressure sales, with an award winning customer service team. The end result is a long list of Awards: No. 1 Selling Travel Trailer, B Van, and Diesel Pusher in America for several years running; Top 5 Airstream Trailer and Top 10 Airstream Motorhome dealer in North America, and Top 10 Jayco Motorhome dealer, just to name a few. In 2017, we won the prestigious Top 50 Dealers in America designation from RV Business. But at Vogt RV, we do not rest on our laurels: we continue to strive to make every customer interaction the very best experience in the RV sector. 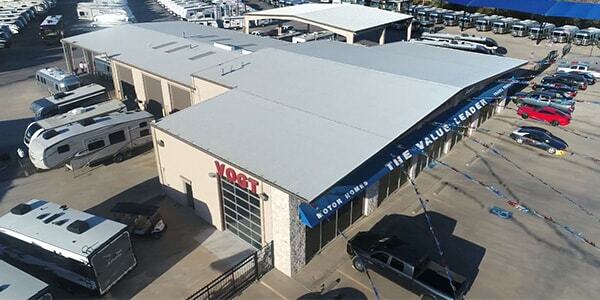 Schedule a visit to get to know our team and discover for yourself the Value of Vogt.